Real property can be a large investment, and whether you are looking to sell land or clear title to it, our firm is here to help. We handle real estate closings, land partitions, foreclosures, and disputes over title. The dissolution of a marriage can be emotionally taxing. When this happens, our firm will guide you through the arduous processes of divorce, division of property, and custody rights. Whether preparing for your family’s future or cleaning up the past, the process of distributing one’s property can be delicate and complex. Our firm will guide you at whatever stage of life you find yourself in. We handle wills, trusts, powers of attorney, and the administration of estates. Our firm takes pride in helping professionals and entrepreneurs establish and maintain their business. We can assist with all manner of business entities — from corporations and LLCs, to tax-exempt non-profits. Mr. Warrick is a native of North Carolina and was born in Johnston County. 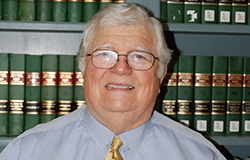 Mr. Warrick has practiced law in Sampson County since 1967. He attended UNC-Chapel Hill where he received both his undergraduate degree and law degree. He is married to Pat Warrick, and they have two daughters and two grandchildren. Mr. Warrick practices in the areas of special proceedings, estate planning, real estate, corporate law, and other general civil areas. Mr. Warrick represents The Big Blue Store of Clinton, Inc., the City of Clinton, the County of Sampson, the Sampson County Department of Social Services, and numerous other companies and entities. Mr. Warrick has represented clients before both the North Carolina Supreme Court and the North Carolina Court of Appeals. Mr. Warrick has also been listed in the Bar Register of Preeminent Lawyers. Mr. Warrick has been an active member of the community and has served on various boards including the Board of Trustees of Branch Banking and Trust and the Clinton City Schools’ Board of Education. In 2011, Mr. Warrick was inducted into the North Carolina Bar Association’s General Practice Hall of Fame. Mr. Bradshaw was born and raised in Clinton. He graduated from UNC-Chapel Hill where he received his undergraduate degree in Business Administration. He received his law degree from Campbell University. Mr. Bradshaw practices primarily in the area of domestic law, including child custody and support, alimony, post-separation support, equitable distribution, premarital agreements, termination of parental rights, divorces, and other causes of action. Mr. Bradshaw currently represents the Sampson County Department of Social Services, the Sampson County Child Support Enforcement Agency, Clement Volunteer Fire Department, State Employees’ Credit Union, the City of Clinton, the County of Sampson, as well as various other companies and entities. 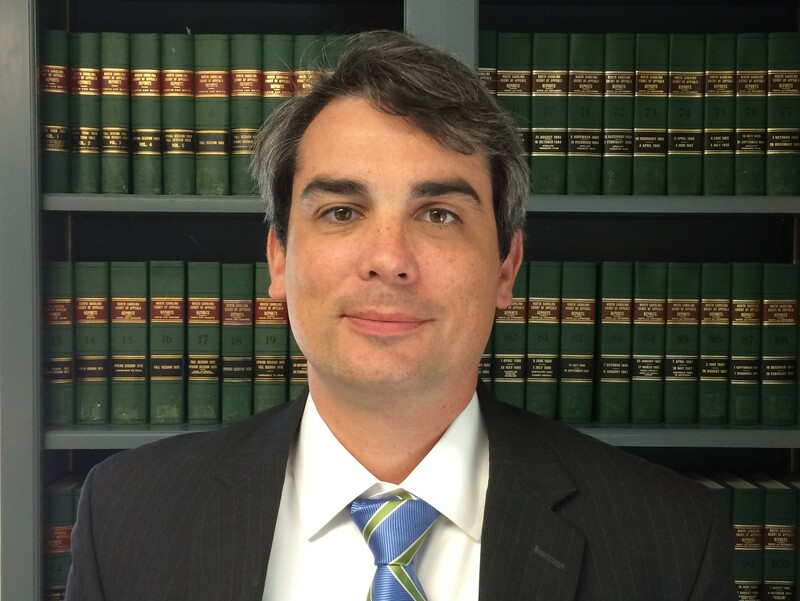 Mr. Bradshaw has represented clients before both the North Carolina Supreme Court and the North Carolina Court of Appeals. Mr. Bradshaw embraces community involvement and is a former president of the Clinton-Sampson Rotary Club, an officer of the Sampson County History Museum, a former officer of the Sampson County Tourism Authority, and other boards and clubs. He also coaches little league basketball with the Clinton Recreation Department for nine- and ten-year-olds. Mr. Lockamy was born and raised in Sampson County. He attended the N.C. School of Science and Mathematics and the University of North Carolina at Chapel Hill, and after two years working in informal science education and as a teaching assistant, he attended the University of Nebraska College of Law. While in law school, Mr. Lockamy served as executive editor for the Nebraska Law Review, wrote articles on education law for the Nebraska Association of School Boards, and worked for the N.C. Department of Environment and Natural Resources Office of General Counsel. 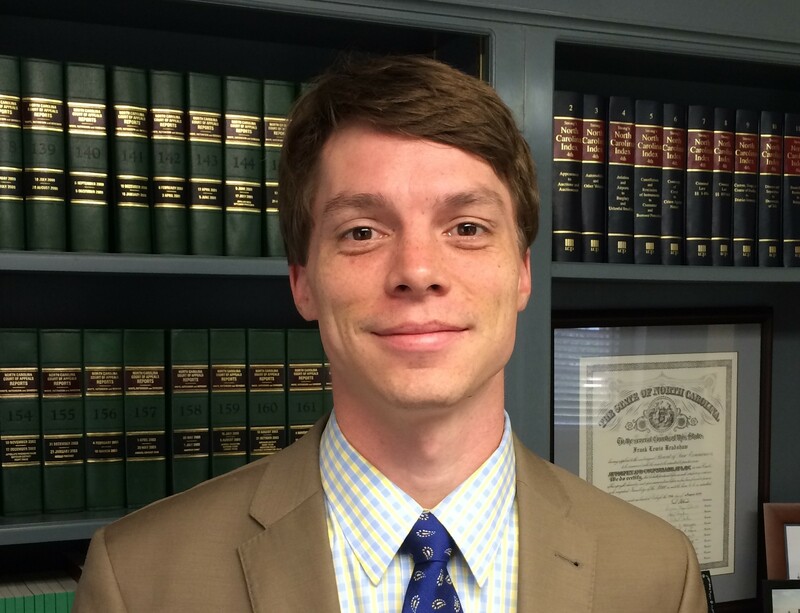 After law school, Mr. Lockamy left Nebraska and returned to Sampson County to practice law. His current practice focuses on real estate transactions and litigation, estate planning and administration, corporate law, and special proceedings. He is actively involved in the community and presently serves as a board member on Clinton-Sampson Chamber of Commerce, the Sampson Community College Foundation, and the Morehead Planetarium and Science Center Alumni Advisory Council. He is also a member of the local Kiwanis chapter. EDUCATION: UNC-Chapel Hill, B.A. in Dramatic Arts, 2006; University of Nebraska College of Law, J.D. with concentration in Space and Telecommunications Law, 2011. Warrick, Bradshaw and Lockamy, P.A.